It is past time to recognize that one of the primary effects of the dense aerosols that now permanently mar the lifeblood of this planet is the heating up of the very atmosphere that we breathe. 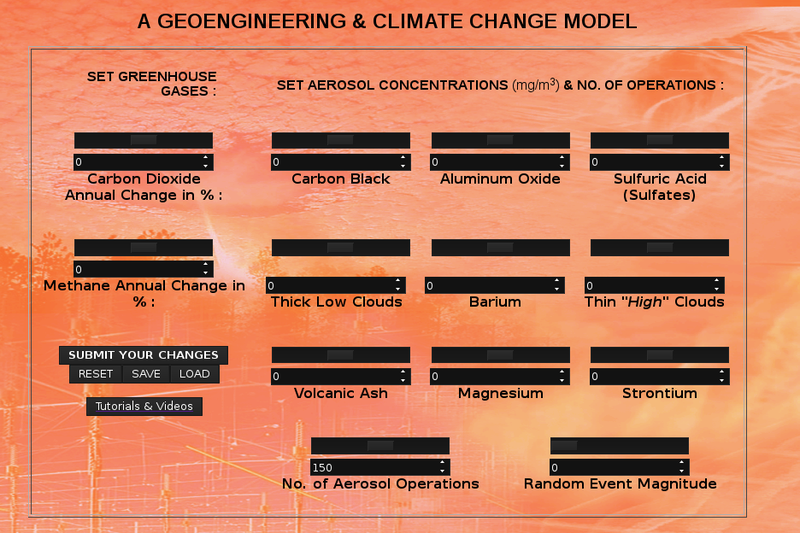 It can be demonstrated that the introduction of essentially any metallic or metallic salt aerosol into the lower atmosphere will have the effect of heating up that lower atmosphere. The impact is both significant and measurable. 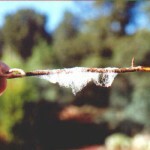 The previous Carnicom paper titled ’DROUGHT INDUCEMENT’ (dated April 2, 2002) presents analysis that shows introducing aerosol metal and salt particulates into the lower atmosphere will cause the atmosphere to warm. 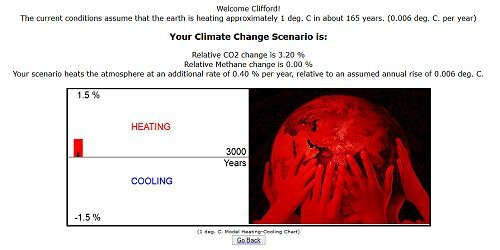 The benefit of this current study is that an estimate of the magnitude of the heat influence upon the atmosphere can now be made. Those that continue to claim that a benevolent, but necessarily secret, enterprise to protect the planet with a blanket of purportedly heat reflective aerosols in the lower atmosphere exists will need to provide the primary evidence of that claim. That claim will need to be justified with solid physical principles and observation. Further discussion on this topic can be found in the Carnicom paper titled ’GLOBAL WARMING AND AEROSOLS’ (dated February 23, 2004). Clifford Carnicom requests that journalists correct errors in their reporting. 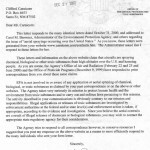 One case in point is an article by William Thomas titled “Air Traffic Controllers Concerned Over Chemtrails”, where Mr. Thomas incorrectly claims “According to NASA and the National Oceanic and Atmospheric Administration, contrails can only form at temperatures below minus 76 degrees…” Clifford Carnicom sent an included letter on this page to CentrexNews.com asking that Mr. Thomas’ article be corrected to state the contrails can only form in temperatures below minus 40 degrees. Mr. Joel Skousen promptly replied and made the corrections for Mr. Carnicom. Claims by sources that include the EPA, NOAA, FAA and NASA that contrails, or water vapor trails, may persist for extended periods under conditions of higher relative humidity are taken to task in this Carnicom work. Working from a foundation Carnicom calls the “Relative Humidity Thought Experiment”, Carnicom develops the reality that the rate of evaporation of the contrails is inversely proportional to the humidity in the atmosphere. Carnicom develops a mathematical model to test this idea, and shows that even at high levels of relative humidity, the effect on the evaporation times is generally insignificant and minor. The truth now includes overwhelming evidence that the populace has been systematically subjected to a covert, extensive and sustained project of aircraft aerosol dissemination without their consent. This Aerosol Report is a continuation of the modeling discussed in the previous Carnicom paper ‘AEROSOL REPORT – US’ on May 2, 2001. This model was developed to determine whether atmospheric conditions in the United States are favorable or unfavorable to aerosol operations. Using this predictive model and data collected in Santa Fe, New Mexico in 2001, the probability that conditions in the southwestern United States are favorable to aerosol operations is estimated to be 29%. 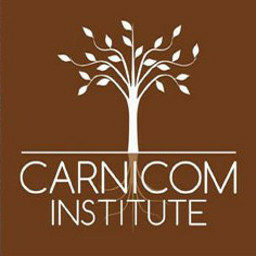 Carnicom establishes a model that attempts to model the atmospheric conditions that are favorable or unfavorable for aerosol operations. 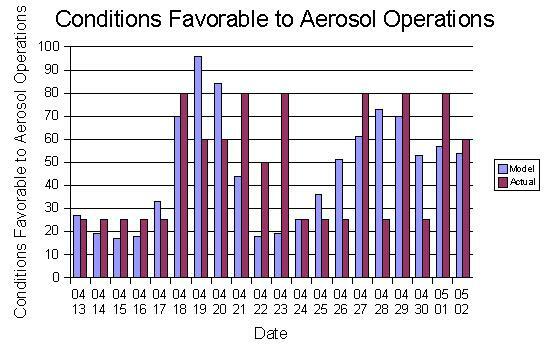 This model and research is preliminary, and though there are no guarantees of reliability, the data available at the time suggests 100% favorable conditions in the US for aerosol operations. A preliminary model is presented here to be used to predict whether contrails will form or not under reported meteorological conditions at flight altitude. Contrail prediction models are difficult to attain, so this model is presented for investigative purposes only. This model can and will be evaluated with actual observations in an effort to test it for reliability. 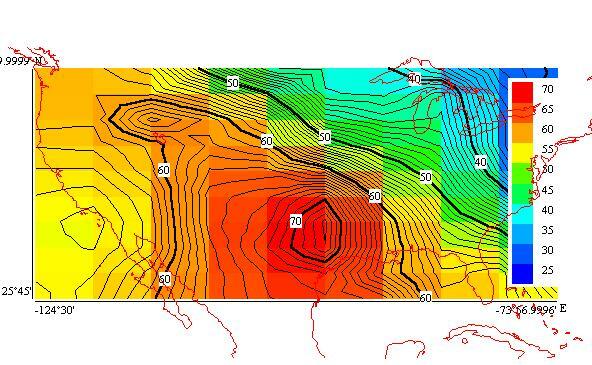 The United States National Climatic Data Center, National Oceanic and Atmospheric Administration, changed their visibility reporting methods, as well as data results, from a maximum 40 miles to a limit of 10 miles. It is of question why this change was made, and whether it is related to the increasing numbers of aerosol observations. 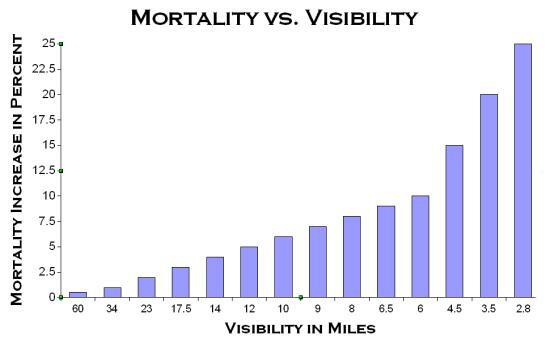 Graphs are shown for the period January 1994 to March 2001 for Santa Fe, New Mexico, showing not only the changes to the reporting standards, but also if is seen that the number of days of visibility under 10 miles is substantially increased. This paper outlines a model developed that estimates the distance behind the engines that a contrail (condensed trail of water vapor) is expected to form. The model results support exceptionally well a statement issued by the United States Air Force (USAF) that ‘contrails become visible roughly about a wingspan distance behind the aircraft’. An abundance of photographic and video evidence shows the repeated formation of aerosol trails in much closer proximity to the engines than that established by the USAF. The evaluation presented in this work adds to the multitude of studies that conclusively demonstrate that the emissions from aerosol operations are not composed primarily of water vapor. A very detailed model calculation is presented supporting these claims. The role and importance of photo-ionization within the aerosol operations is becoming increasingly evident…the formation of so-called “clouds” can be directly related to the introduction of easily ionized materials within the atmosphere. This paper’s finding substantiates the case for radical alterations in the earth’s atmosphere, as well as with the recent findings that demonstrate the abundance of electrically charged particulate matter in direct association with the aerosol operations.